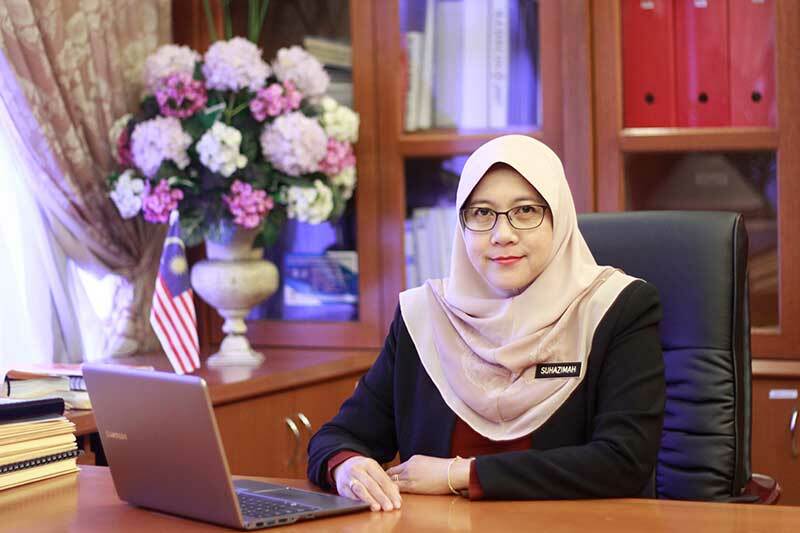 OpenGov speaks to Dr. Suhazimah Binti Dzazali, Deputy Director General ICT at the Malaysian Administrative Modernisation and Management Planning Unit (MAMPU), about the implementation of the Public Sector ICT Strategy Plan 2016-2020 (PSISP). Earlier this year, Dr. Suhazimah explained the ICT Strategic Plan 2016-2021 on the OpenGov Platform. PSISP will serve as the blueprint for the implementation of a citizen-centric digital government and enhancing the efficiency and productivity of the public service hover the next five years. There are 5 strategic thrusts, 12 strategies and 30 programmes identified in PSISP. The plan has been in execution mode, since early this year. Dr. Suhazimah tells us about two game-changing programmes for data aggregation and developing the Government Online Services (GOS) gateway by clusters, such as business, education, health and so on. The former enables the process design and re-engineering required to integrate a certain cluster into the GOS gateway. She highlighted two potentially game-changing programmes for collection and aggregation of data, as a prelude to delivering services from an integrated platform. The first one is the establishment of the government’s Central Data Exchange Hub. It is a platform to enable seamless sharing of data between agencies to serve certain application or transaction needs. For example, the Road Transport Department needs to exchange data with 16 other private and government agencies in order to administer Road Tax or for the registration of a vehicle, such as the insurance company, the car manufacturer, customs department and more. Each agency now needs only to leverage this shared platform. This requires MAMPU to assume a new role of master data management, acting as the data broker for all these agencies. Interoperability and standardisation is key. There is a public sector Data Dictionary, that has been there for many years. MAMPU is the custodian for the dictionary. Dr. Suhazimah mentioned plans to expand it beyond data attributes and formats, to allowed protocols. Coupled with this initiative for the data sharing platform, MAMPU plans to establish a national repository and national registry. In MAMPU’s definition, the National registry will essentially be the national registry for all residents of Malaysia. Currently, the citizen registry is with the National Registration Department, under the Ministry of Home Affairs. The Immigration Department of Malaysia holds the data on foreign workers and foreign visitors. The Resident registry will be a common registry for every individual who is resident in Malaysia. It could be a citizen, a Permanent Resident of Malaysia, temporary visitors, foreign workers or expatriates. MAMPU will maintain the registry. This will eliminate repetitive entry of data across government offices. The GOS gateway is a one-stop-shop for delivering government services to citizens in a centralised manner. It is replacing the current myGovernment portal, malaysia.gov.my. The current portal provides a landing page, which is hyperlinked to different vertical from various agencies. MAMPU wants to push certain transactions to the front and enable citizen access to them through the common portal. The driving concept is that citizens do not need to know of the various organisations that are coming together to serve that transaction. But GOS will not cover 100% of the services. Services will be selected according to the criticality to citizens’ lives, looking at the milestones and their needs during those milestones, for example, marriage, the birth of a child, starting school, seeking employment. If a transaction is not considered strategic enough to place on the GOS gateway, it will still be channelled to the respective agency’s portal through hyperlinks. The other portals will will continue to function. But they will be standardised, so that the user experience is more consistent and of a certain quality. Right now, it is up to the creativity and ingenuity of each agency over what kind and level of service they offer. As part of the GOS gateway, we want to standardise the design as well as the user experience. “Standardisation is not only for the front-facing UI, but also about the way we integrate in the back. It is integration between the apps or the service layers at the back,” Dr. Suhazimah said. MAMPU is tackling the implementation of the GOS initiative by cluster. For each cluster, all the required data is aggregated as a first step. While a central data repository is being established for the cluster, the requirement study is done for the GOS gateway and the teams prepare for the re-engineering process. During the current year, MAMPU has been working on the ‘Ease of doing business’ cluster. The GOS gateway for business is currently under development and it was showcased at the recently Public Sector CIO Convex. Next in queue is the education cluster. In order to enable the education cluster’s service delivery, MAMPU will establish the education repository. The repository is essentially putting together various data from the education ecosystem at the central agency level in MAMPU. It could be from primary, secondary and tertiary education and also, related funding and scholarship. Three ministries are involved, the Ministry of Education, the Ministry of Higher Education, the Ministry of Women, Family and Community Development. There are other stakeholders, such as the local religious authorities, NGOs, civil societies. MAMPU is engaging with them to understand what information each one of them needs from the others. The education cluster project was kicked off in September 2016. The establishment of the platform is foreseen by next year May or June. One of the registry will be deployed and running. And coupled with the other project, the GOS gateway. The next cluster after education will be the health cluster, followed by the welfare cluster. That will be done over the next four years. MAMPU issued the Public Sector Cybersecurity Framework, earlier this year. It is a high-level umbrella, which guides government agencies to areas they have to pay attention to and helps them in incorporating cybersecurity from strategic, tactical and operational perspectives. MAMPU is going to issue specific guidelines and policies, based on the framework. That will deep-dive into each area. For example, for a data exchange, what will be the security to be applied at the network level, the parameter level, the service level, app level, process level. We asked Dr. Suhazimah if we would be right in saying that MAMPU is moving towards a more centralised execution role. She replied that for the past few years, MAMPU has evolved into that. When MAMPU was established in the 80s, the role of MAMPU was only evaluation and approval of ICT projects. But since 1997, in the e-gov movement, MAMPU has taken up the role of developer for cross-agency applications. Since 2005, MAMPU has provided a Wide Area Network for the public sector. MAMPU is the shared service provider for network (1Gov*Net), data centre hosting, unified communication (1GovUC). It is the strategic planner for the public sector and provides ICT consultancy. MAMPU is also an ICT project approver. Projects above a certain budget have to come to MAMPU for approval and MAMPU evaluates whether it is viable or not.